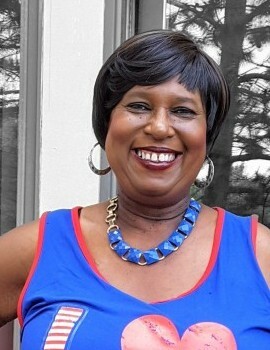 Debra Ann Lawton, the daughter of the late Mr. Henry Lawton Jr. and Lucille Dantzler-Lawton, was born on July 25, 1958 in Orangeburg County, South Carolina. She passed peacefully at home, on Friday, March 15, 2019. Debra was educated and excelled in the public schools of South Carolina and is a proud graduate of Orangeburg Wilkinson High School. She enjoyed cooking, designing clothes, and caring for her nephew, Talvern Lawton. In August 1979, Debra moved to Rochester, NY to live with her sister Maebell Rush-Jackson and two nieces Roxanne and Tuwanda. While residing in Rochester, she pursued studies in the field of Business at Rochester Business Institute and earned an associate’s degree. She enjoyed spending fun, quality time with her sisters Maebelle, Tennell, and best friend Mary Etta Fuller. While in Rochester, she also met a dear friend Devon O’Meally, and had two beautiful daughters, Demitria Lawton-Greggs and Chelsea O’Meally. Over the course of her life, Debra was employed at several businesses in Rochester including Burns Personnel for 15 years and her last place of employment, Computer Aid Inc. Passions of Debra included traveling, gardening, decorating and shopping. She is especially known for her bright smile and “bubbly” personality. Her daily duties were watching soap operas and taking care of her two daughters, son-in-law Kenneth Greggs, and special grandson, Christian “PJ” Greggs. She was preceded in death by her parents, sister Vernell, five brothers Edward, John Henry, Isaiah, Harry, and James Lawton, and brothers-in-law Prince Simmons, Wesley Jackson, and sister-in-law Mary Elizabeth Lawton. Precious memories of Debra will forever by cherished by daughter Demitria Lawton-Greggs (Kenneth) and Chelsea O’Meally of Rochester, New York; a god-daughter Starlyn Rose Gundlach of Columbia, TN, and grandson Christian Greggs; Two sisters Maebell Rush-Jackson and Tennell Lawton-Simmons; Brothers Hercules Lawton Sr. (Mary Evelyn) of Wilmington, DE and Melvin Lawton Sr. (Ella) of Orangeburg, SC; three sisters-in-law Mary Louise Lawton, Willa M. Lawton, Gladys Lawton; special friends, and a host of nieces, nephews, cousins and friend. The viewing will take place on Thursday, March 21, 2019 at Glover's Funeral Home from 1:00pm until 8:00pm. The service will be held on Friday, March 22, 2019 at Church of the Living at 3:30pm.